Do you want to engage and support your customers, employees and suppliers across all languages? Our professional localization services can provide you with high-quality efficient solutions that can let you offload translation and localization tasks so that you can focus on your critical business activities. 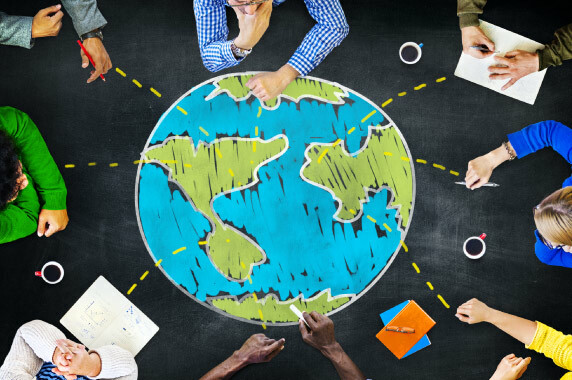 Whether you want to reach customers all over the world through a website, communicate internally with a global workforce via an app, create software for multiple nations or simply collaborate with your international partners– our localization services can be a critical element in your strategy. Often times, the terms “internalization” and “localization” are interchangeably used. However, internalization involves the preparation of your product on a macro level so that it can be localized to many markets without redesigning extensively. Localization is basically the adaptation of your product or service to account for the differences of a particular market, including technical modifications, translations, regulatory modifications etc. We have expertise in 100+ languages and thousands of localization projects for our well-renowned clients all over the world. Intense review of all translations and content is needed in to ensure high quality of localization. For every country that you want to enter, your products will go through localization each time and language will have to be adapted. Your graphics will be reviewed while relevant DTP will be used for all your documents to ensure they are adapted for the local market. Localization of software, websites and apps will require careful translation reviews at every phase to ensure error-free localized output. offering your sleek marketing content that clicks with your local markets. Offering you video, animation, audio and e-learning solutions including dubbing, subtitling, lip-sync and voice-overs. adapting your software to reach global markets with high-quality localization that meets the language and utilization requirements. offering your website to become the cornerstone of customer experience. We optimize its content, graphics and language for global markets. whether it’s a game or an app, localization is the key to reaching your mobile consumers. We localize and test it.